It's that time again... the season when we all start getting runny noses, coughs, and the influenza virus starts rearing its ugly head. 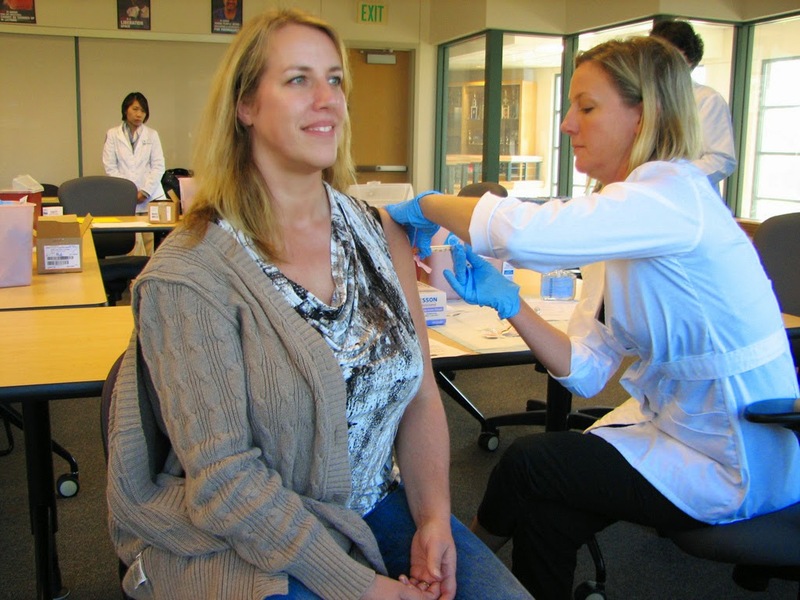 Time to roll up your sleeve and get poked--avoid contracting and spreading the flu by having your annual influenza immunization. Getting sick with influenza also puts you at risk of other infections, including viral or bacterial pneumonia. The risk of complications, which can be life-threatening, is greater for seniors 65 years and older, very young children, and people who have lung or heart diseases, certain chronic health conditions, or weakened immune systems. Think about all the people in your family and your circle of friends: how many of them fall into the above categories? Healthy pregnant women in the second half of their pregnancy are at greater risk of being hospitalized following infection with influenza virus. If that doesn't convince you, watch this. Clinics at pharmacies are listed on ImmunizeBC's map or find the closest VCH Public Health Clinic. Someone planning to visit loved ones in a health care facility or who will take family members to outpatient appointments. FYI: If your children are afraid of needles, this year FluMist, a nasal flu spray vaccine, will be available free of charge as an alternative for children and youth aged two to 17 years old. For more info & updates, follow Vancouver Coastal Health on Facebook, Twitter, and YouTube.